After two rounds, Roger Federer’s straightforward, quick wins have kept him out of the U.S. Open’s early headlines, except when he dismissed the idea that the record number of ATP retirements in Flushing meant that the men needed to adopt a heat policy like the WTA’s. Of course, short matches, a smooth style, and a naturally un-sweaty nature have helped, but let’s see what else Roger has done this week to stay cool. 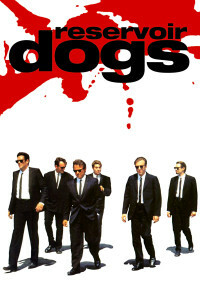 How is it that the most low key team in tennis looks like a Reservoir Dogs poster when walking around the practice courts? Roger: Thanks, Stefan. It’s so cool that I’m hitting with you. Roger: Sorry, I didn’t mean to get all crazy. Stefan: Not at all, Roger. Roger: Stefan, can I ask you something? Roger: We’ve been out here for an hour, and it’s pretty sunny. How is your hair still so perfect? Stefan: Yours isn’t bad either, Roger. Roger: So, you’re not going to tell me. Stefan: I’d need a raise first. I like the idea that family time with the Federers involves Roger explaining his tears to a pair of unimpressed kindergartners. For what it’s worth, I cried at Finding Neverland, too, and the musical is a sanitized version of real life events with a hammy Frasier as Captain Hook and a happier than real life ending. If Roger looked into what really happened to the Llewelyn Davies boys after the events of the play, he would still be crying.